Good day, dear friends. Today begins another challenge at Chalk N Stock where anything goes all month/every month. We were a chalk use challenge group but not everyone uses chalk in their paper crafting so we are an anything goes group now, but loved our name so much that we have decided to keep it. Spread the word and let all your paper crafting friends know that we would love to see their creations! 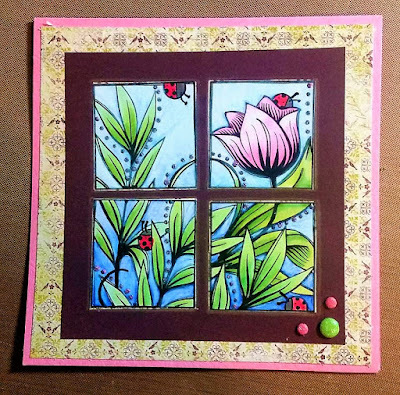 For our October challenge, I used a beautiful window pane digital stamp from Bugaboo Stamps. They have beautiful stamps as well as cute, funny and cuddly. Check them out! 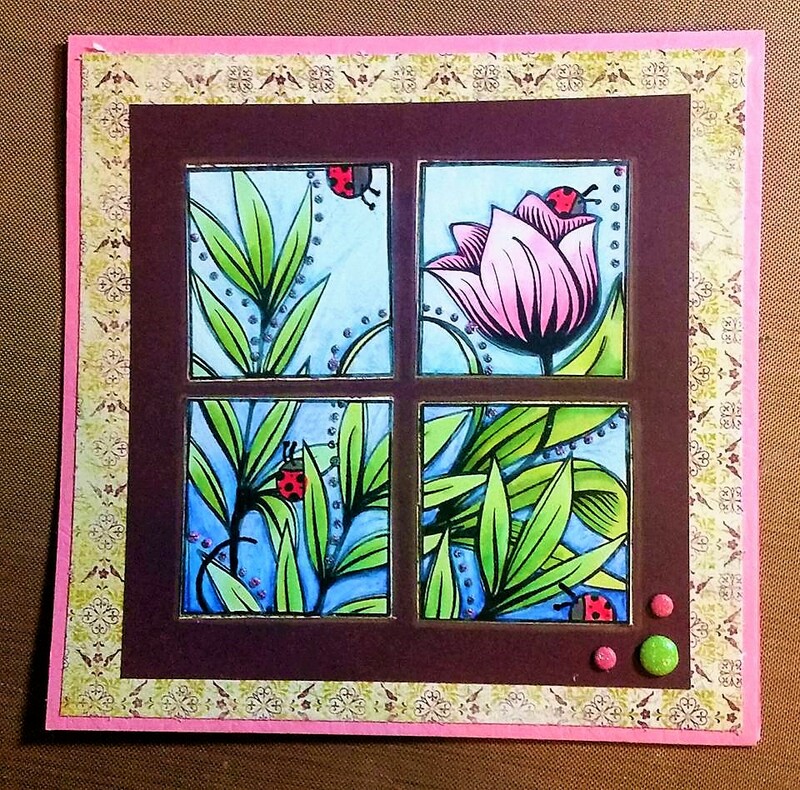 I used colored pencils to color the blue background, ladybugs and flower. The leaves are colored with alcohol markers in shades of green. This is a big square card that measures 6 inches by 6 inches. I'll have to make a custom envelope for it when it's time to go in the mail. Enjoy your fall and all the beautiful shades of red, yellow, orange and brown. Hmm, now I think I want to go make a Halloween card. Check back later this week and see if I did. Happy days, Jearise AKA Lorby living a crafting world.